If you have ever seen this blog before, you will know I have been submitting designs to Threadless.com for a while now. After all this time, and with much jubilation, a design of mine has been printed. It was a design titled War Pigs. The idea came from the song War Pigs by Black Sabbath and also derived from Orwell's Animal Farm. The anti-war overtones of the song and design are just as important today as they were in 1970, when Black Sabbath released the song. 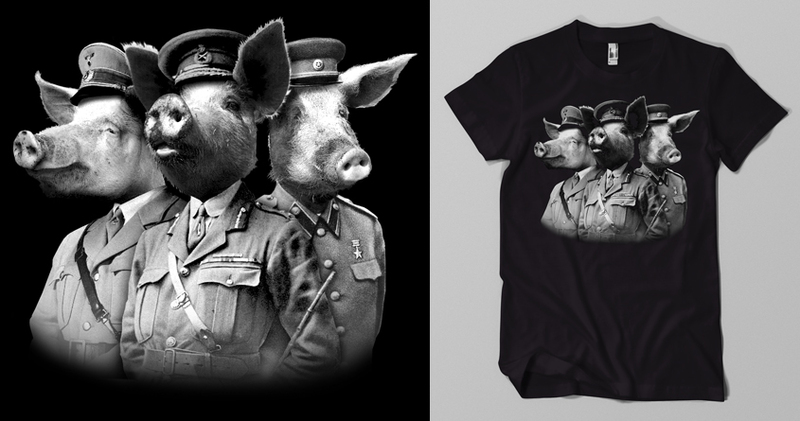 I used public domain (creative commons) photos of Generals, and Leaders from WWII, and pigs. I combined them and matched the graininess of the newer photos with the old. I also tried to emulate an old time vignette to crop the bottom of the image. This is the image from the original submission. 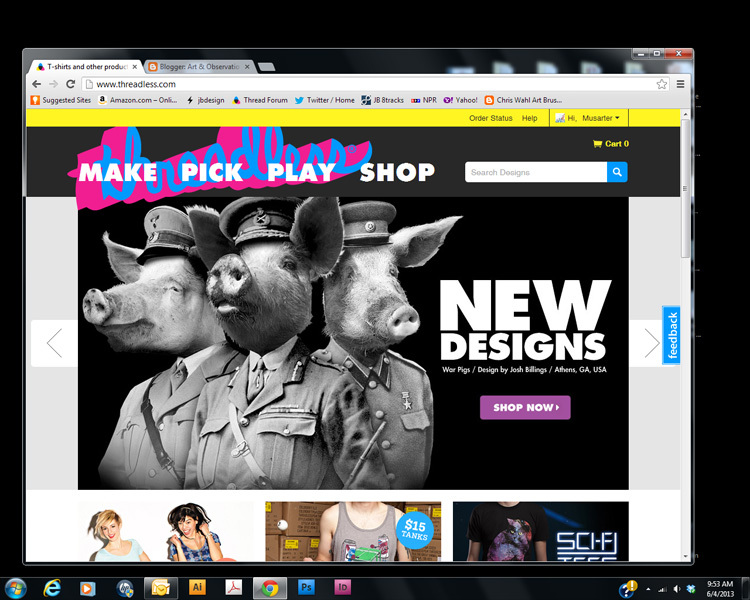 This is a screen shot from Threadless' home page. This is the link to the product page. Go and check it out if you get a chance. I am grateful for the community at Threadless and everyone else who has supported me thus far. Thank you for looking.